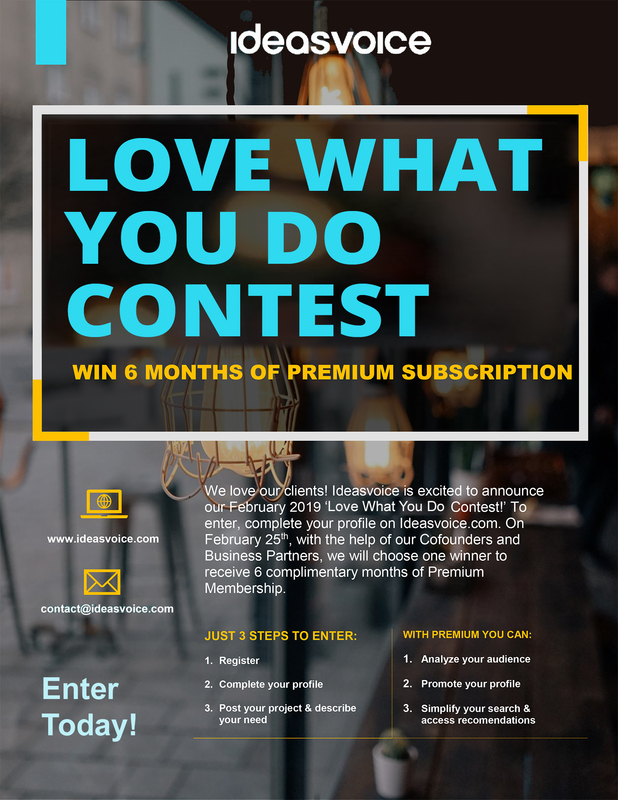 Win our contest in February 2019 and get 6 months premium membership at no charge! 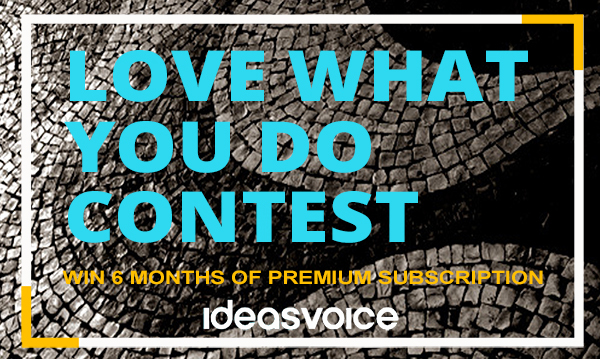 Ideasvoice is excited to announce our February 2019 #LoveWhatYouDo Contest. Interested entrepreneurs simply complete a profile on Ideasvoice.com to enter. 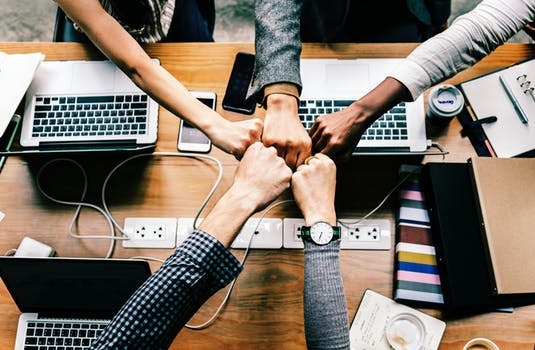 On Feb 25th, we will choose one lucky entrepreneur winner as well as the most active and contributing cofounder on the platform to receive 6 months of Premium membership at no charge! That is a value of $144 for each winner! After completing these steps, your project is in the showcase and is officially entered into the contest! 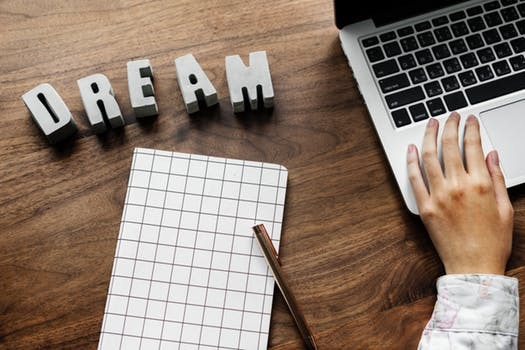 Make sure that your project presentation is attractive, impactful and detailed enough to get the best votes from IdeasVoice members! Also, don’t forget to answer comments posted on your project and to interact with your audience! After completing these steps, we invite you to help us to select the winner with the best project and founder/entrepreneur profile. The most active cofounder/business partner/investor will receive 6 free months of premium membership. Start searching projects in the showcase. Vote for the ones you are enthusiastic about. Engage with the founder by posting comments with your questions and feedback. The contest has opened on February 4, 2019 at 12:00 PST and closes on February 24th at 23:59 PST. Good luck to all! Sign in and refine your presentation! Follow us on Facebook, Twitter, Instagram & LinkedIn!